Your credit score plays a major role in the type of interest rate you’ll qualify to receive. While different programs have different credit requirements, the rate you pay may increase or you may be disqualified altogether if you do not meet a specific program’s minimum or preferred credit score standards. 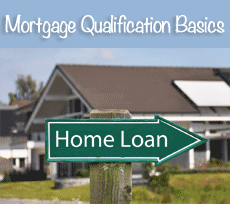 If you find that you are having trouble qualifying for a mortgage, you might qualify for federally supported loans from Fannie Mae or similar institutions. The amount cash reserves you can show to the lender are also important. Cash reserves help show that in case there is a disruption in your income, you will be able to maintain your monthly payments. Another aspect to consider when applying for home loans is your down payment. Different lenders will require certain amounts in order to agree to giving you a loan.The higher a down payment you can afford to make will not only help you in the long run, but give you an edge when applying for financing. Most financial institutions would prefer a down payment of anywhere from 10 to 20 percent in order to assure a good interest rate although this can vary by program. In difficult economic times, more and more banks are asking for the buyer to put more money down. Government-backed loans allow you to put less money down initially, but also carry higher monthly rates. It’s important not to be discouraged if your credit score is lower than you anticipated, or if you can’t afford a large down payment. You can investigate other loan options, or even try to find ways to improve your credit. Improvement won’t happen overnight, but it can happen if you have patience. In fact, we can help you improve your credit score and help educate you on how to improve and maintain high credit scores in the future.